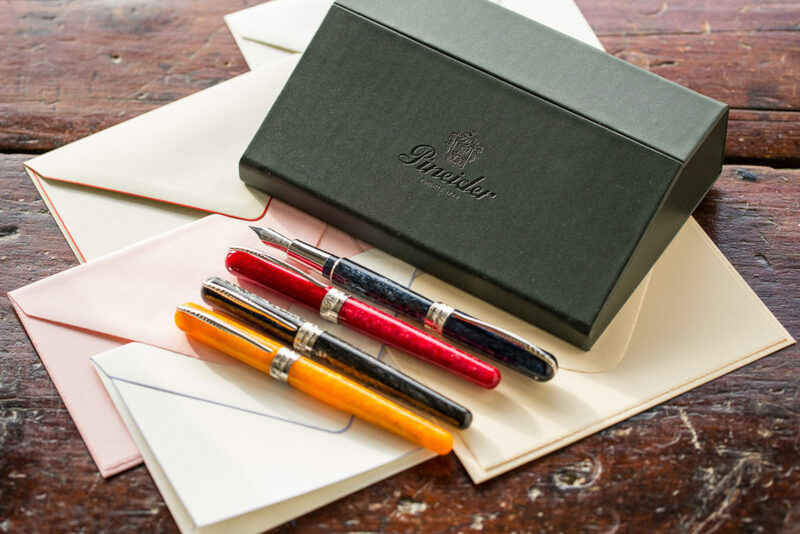 We’re pleased to introduce a new line of fountain pens from Pineider, now available at Goulet Pens! 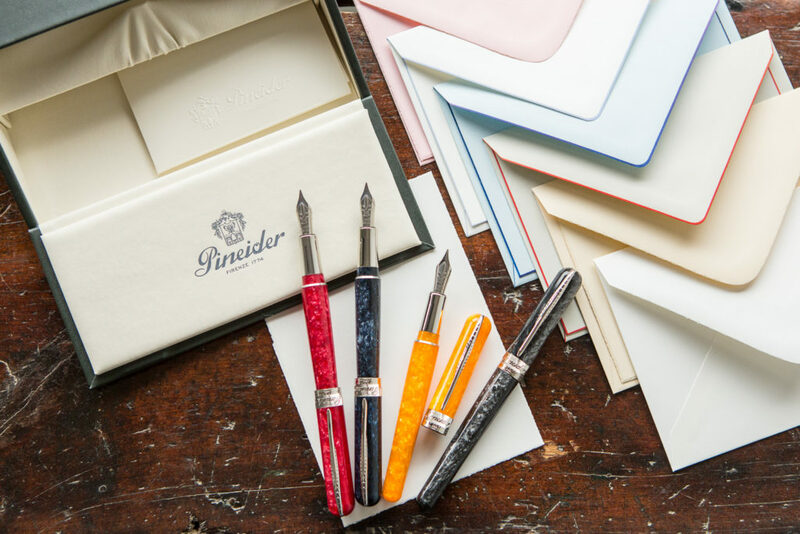 Pineider is a company based in Florence, Italy that has been around since 1774, primarily focused on creating beautiful high-end stationery. 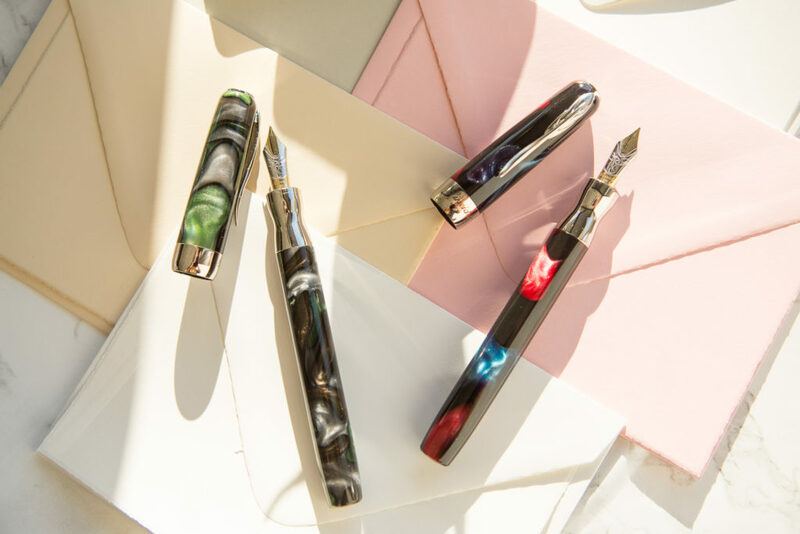 Earlier this year, Dante Delvecchio joined the company to help create a new line of fountain pens. 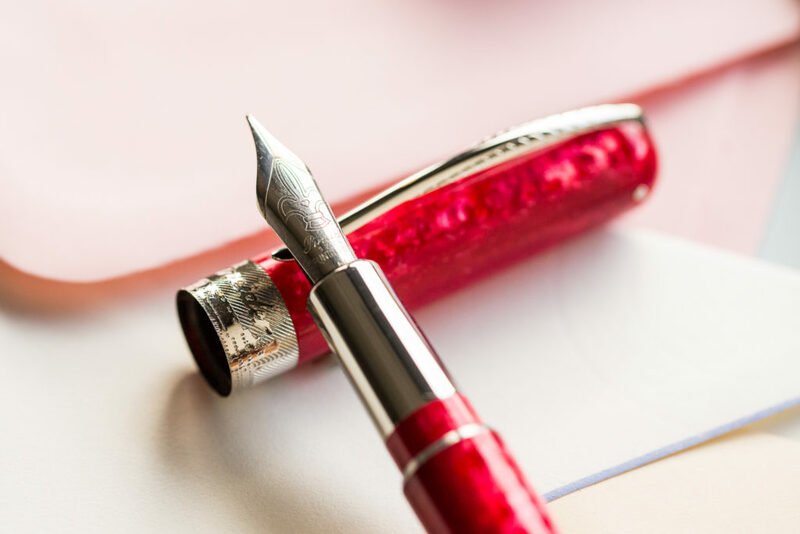 He brings 30 years of experience in Italian pen design, and we’re excited to see what he’ll be dreaming up in the coming year. 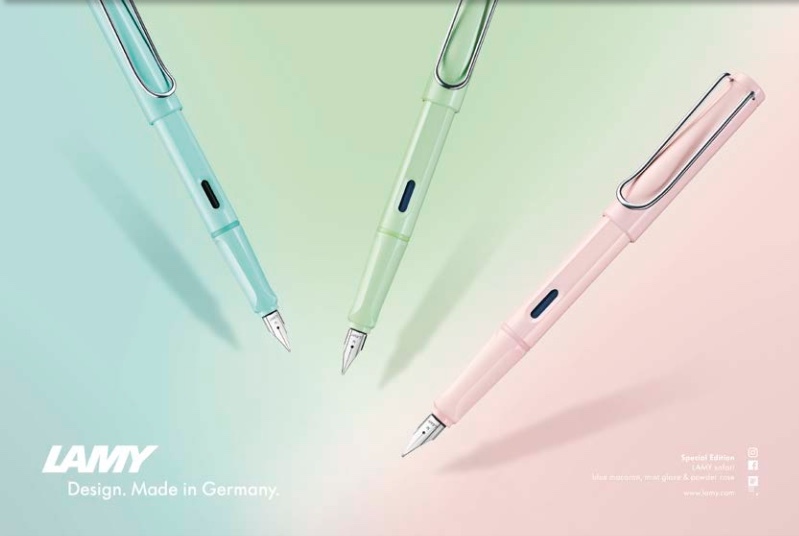 The first two models to be introduced for 2017 are the Avatar, and the La Grande Bellezza (The Great Beauty). 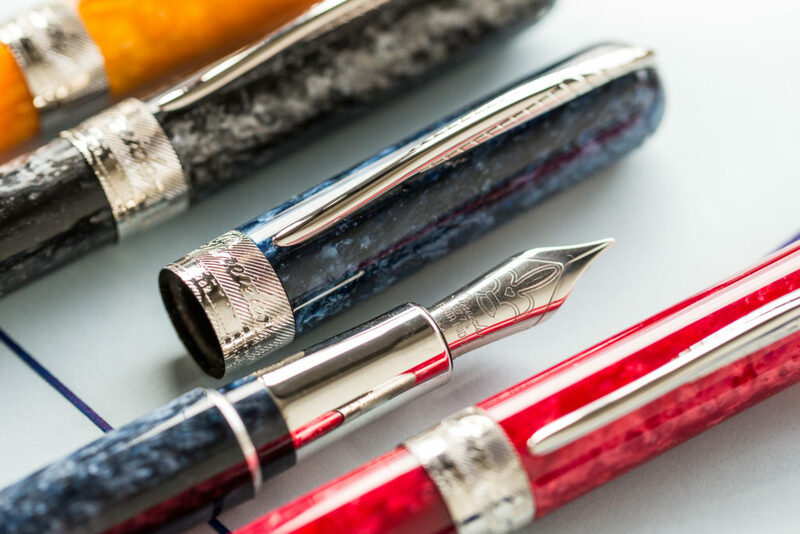 All are made in Italy. 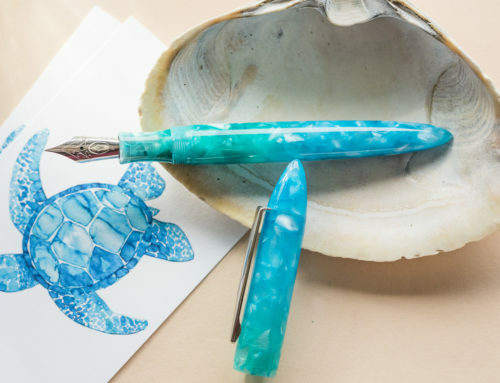 The Avatar is a regular edition fountain pen. 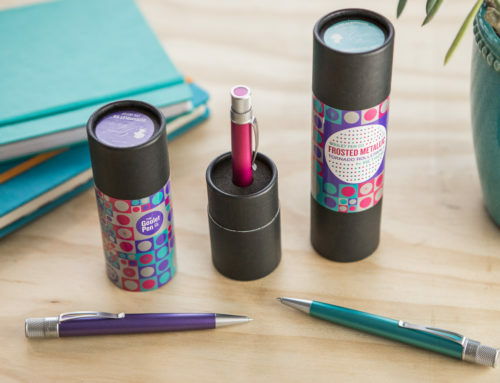 It comes in four colors: Coal Grey, Lipstick Red, Pacific Blue, and Sapphron Yellow. 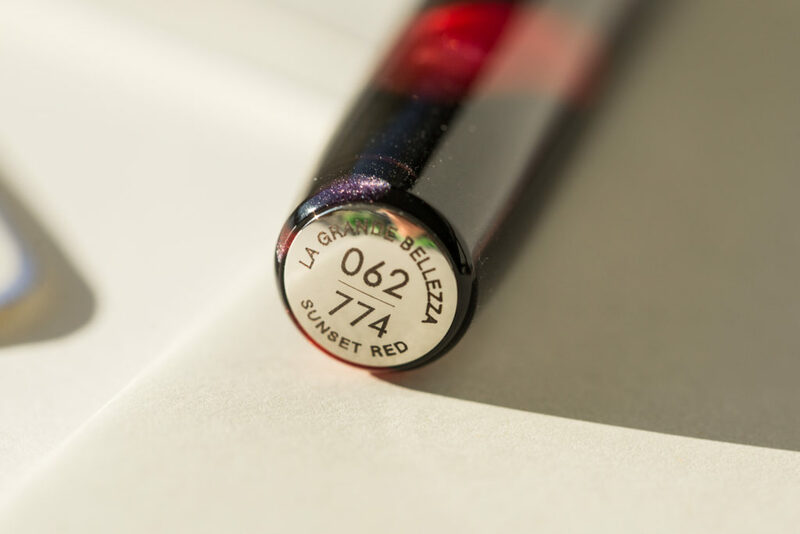 It is currently only available in a medium #6 steel nib, but we believe more nib sizes should follow in 2018. 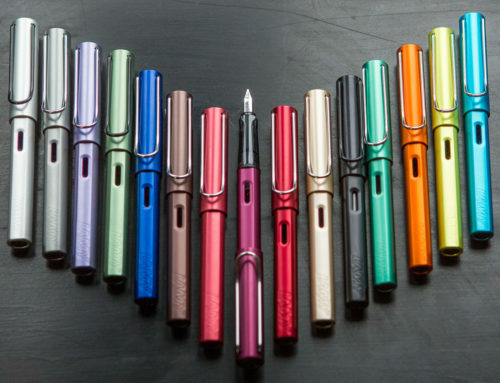 It fills via standard international cartridge/converter, and the cap closes magnetically. 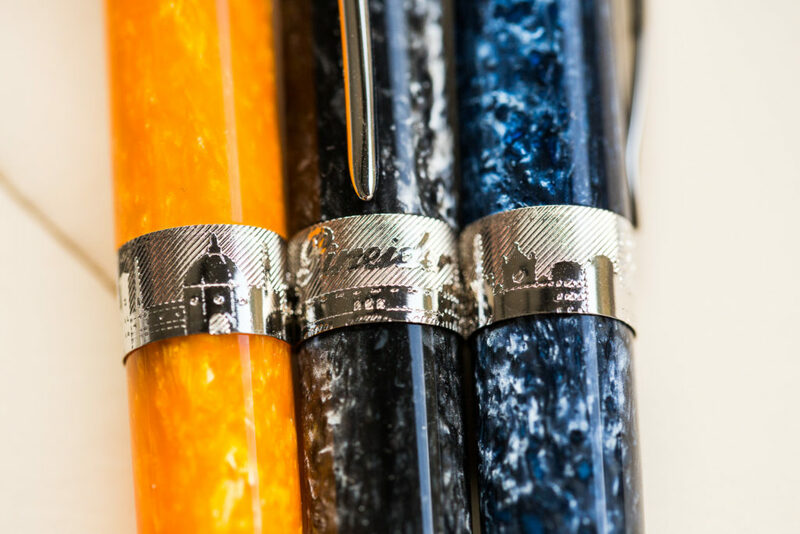 The clip is in the shape of a quill, and the centerband features an image of the skyline of Florence, home of Pineider. 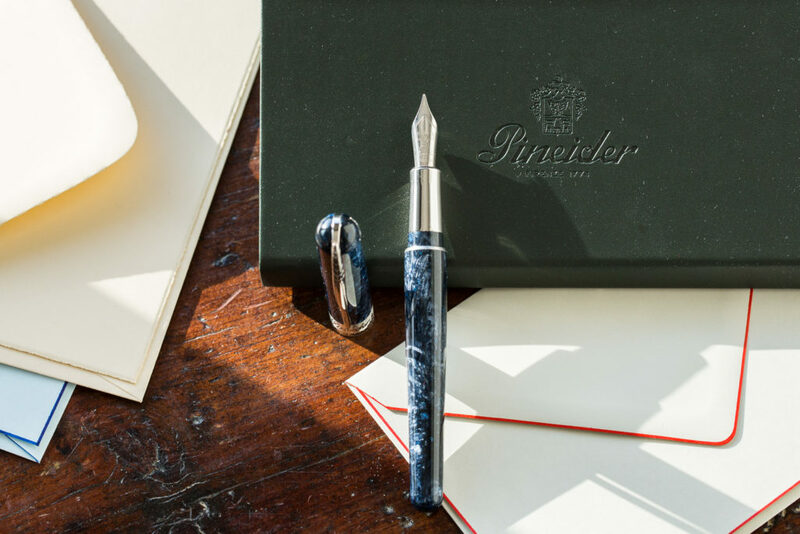 The Pineider Avatar has an MSRP of $280; our price at Goulet Pens is $224. 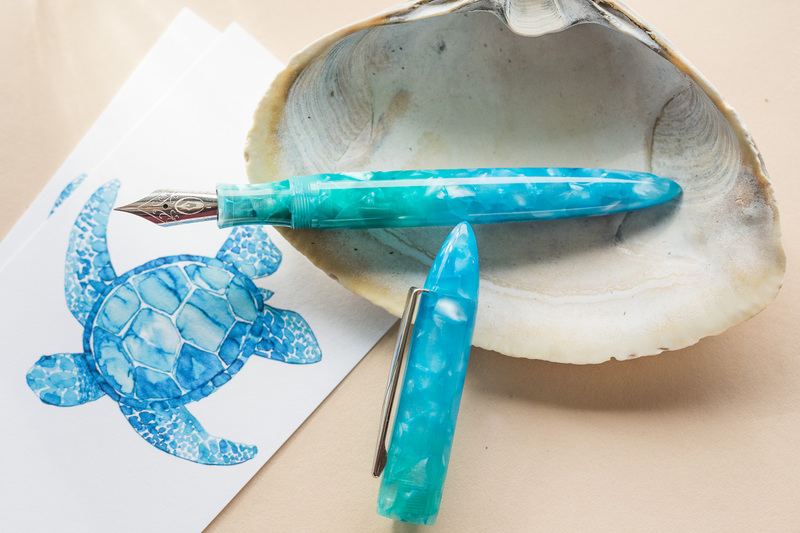 La Grande Bellezza is a limited edition fountain pen. 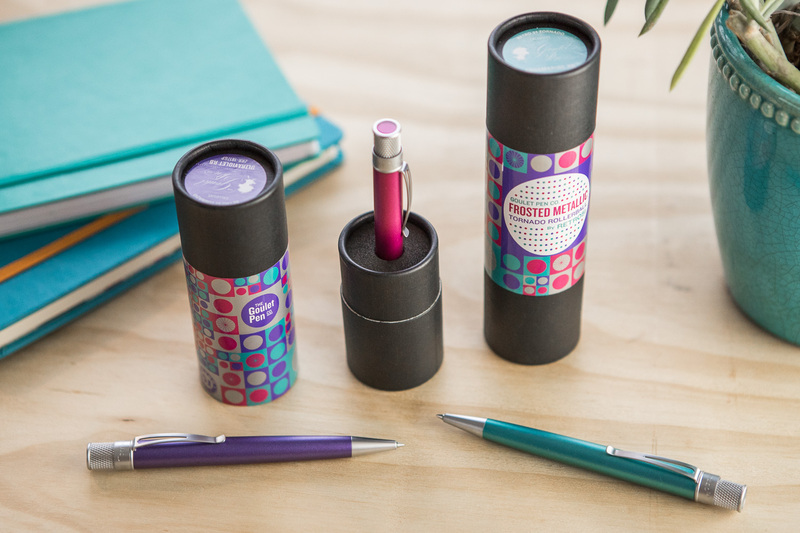 A unique feature of this model is the all-new “soft touch magnetic lock” mechanism – it’s like a hybrid between a magnetic cap and a twist cap. 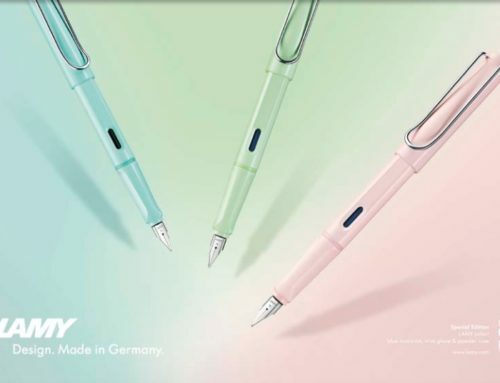 It comes in two colors: Dolomite Green and Sunset Red. 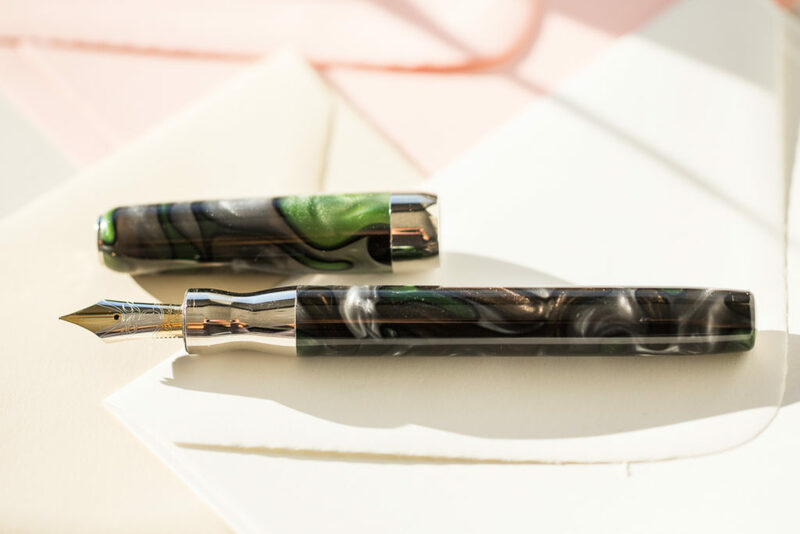 The Dolomite Green features swirls of green and grey, and the Sunset Red features swirls of blue, red, and black. 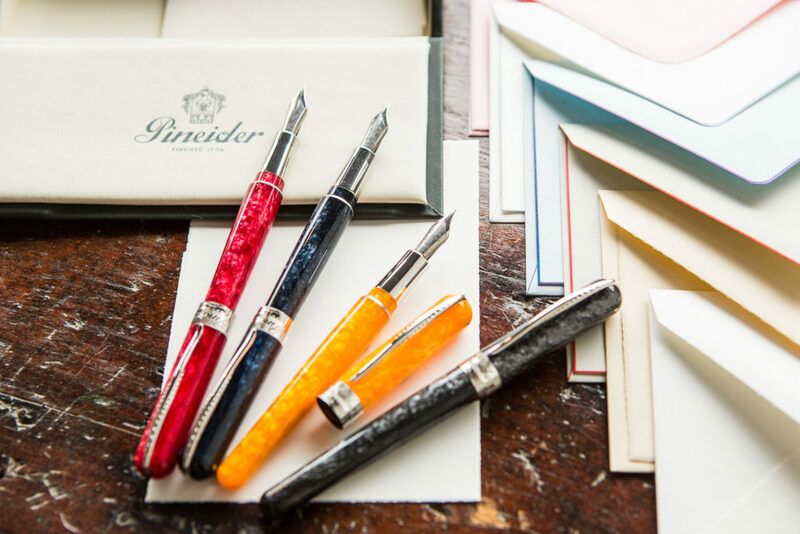 They are all hand-blended resins. 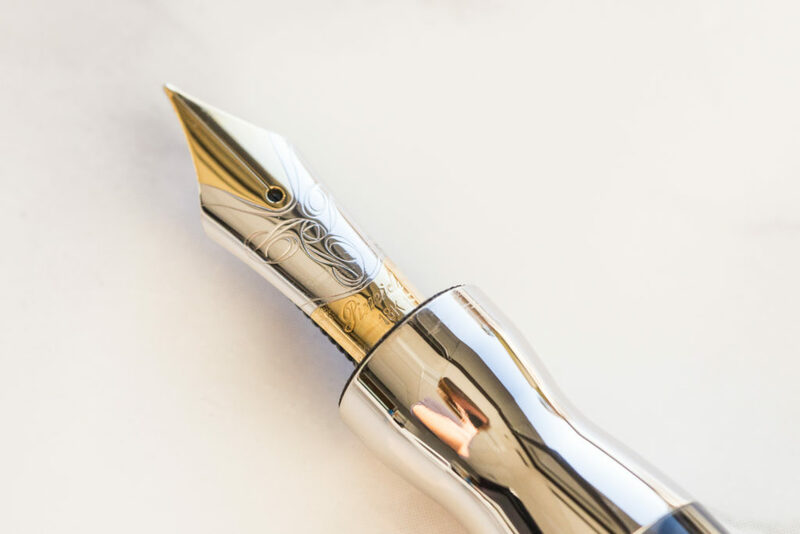 It features a smooth two-tone 18kt gold nib available in fine, medium, or broad. 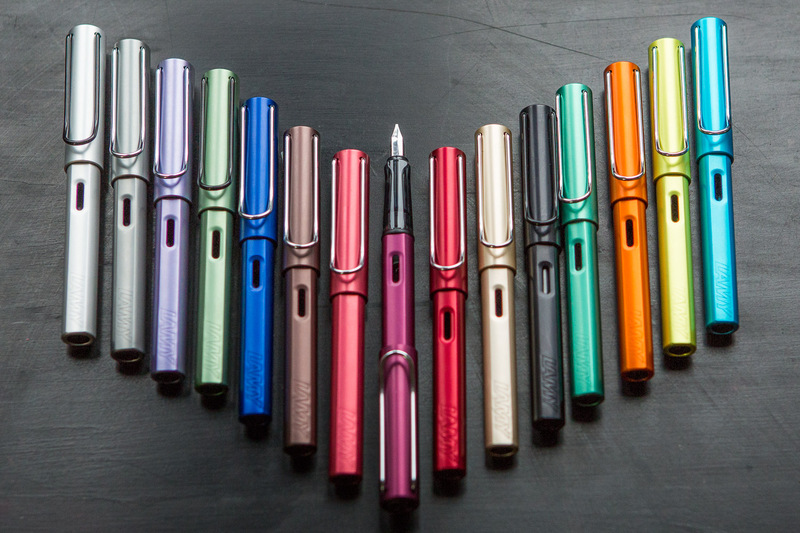 Like the Avatar, it also fills via standard international cartridge/converter. 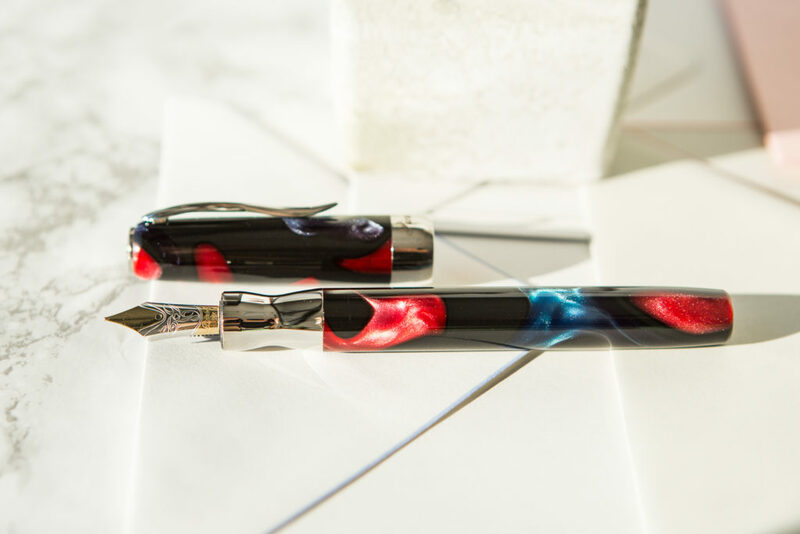 The collection is limited to a total of 774 fountain and rollerball pens, each individually numbered. 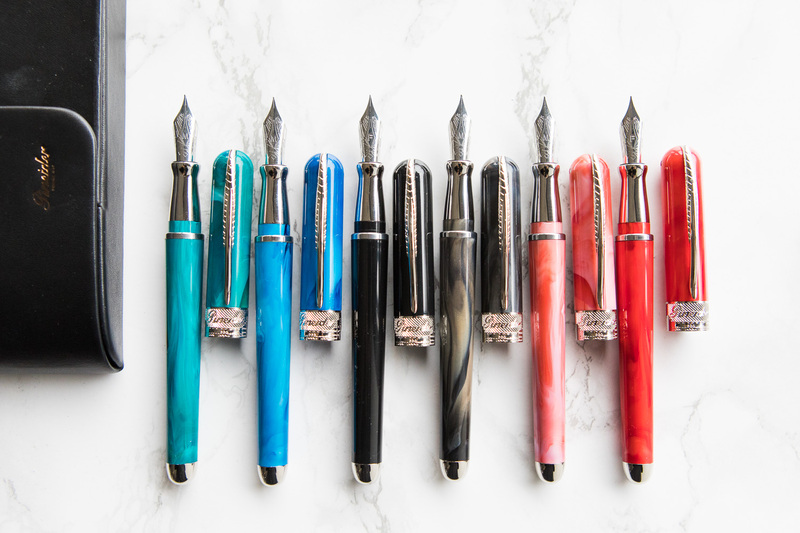 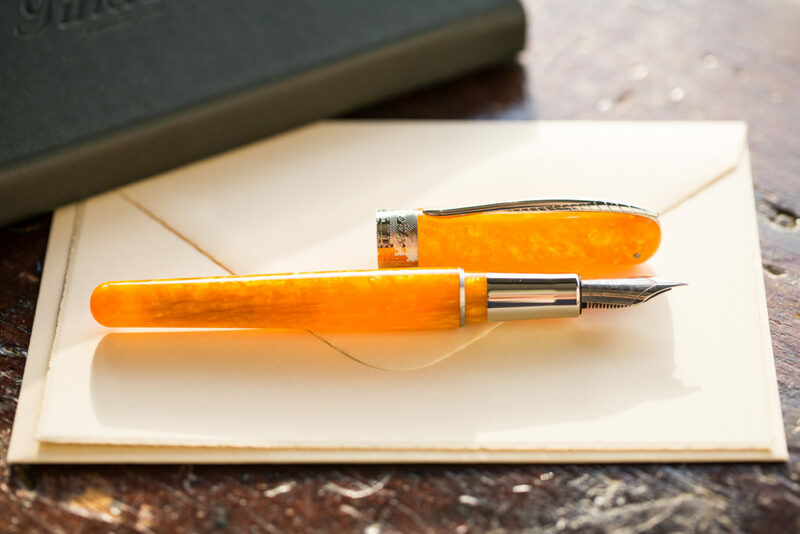 The MSRP for the Pineider La Grande Bellezza is $798; our price at Goulet Pens is $638.40. 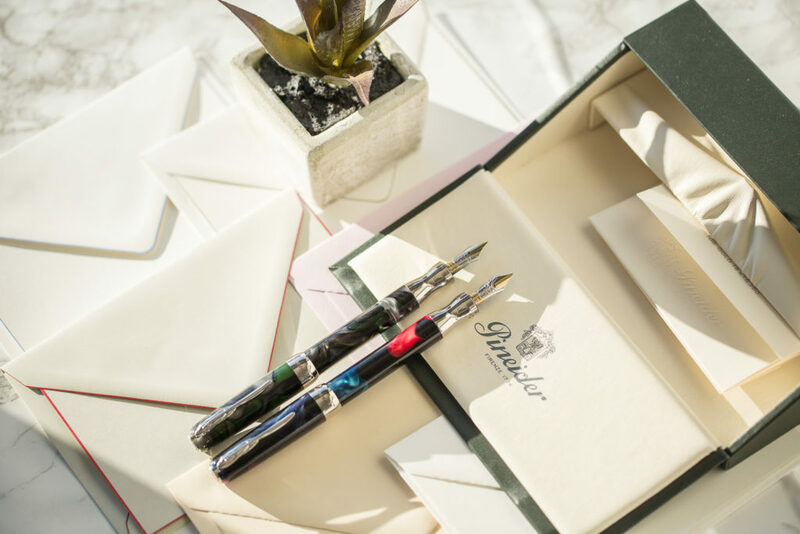 Every Pineider pen comes in a beautiful gift box with a sample of the luxurious Pineider stationery paper. 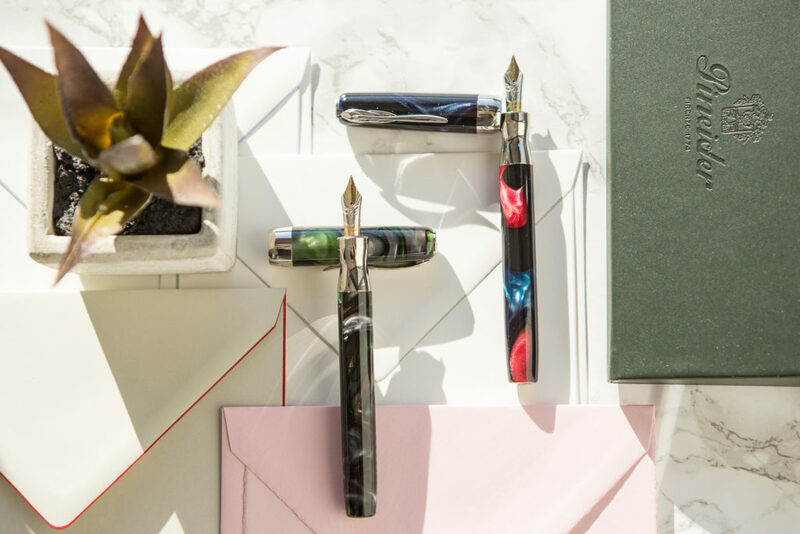 And, for the rest of 2017, we are also including a free 90ml bottle of Monteverde ink as a gift with purchase! 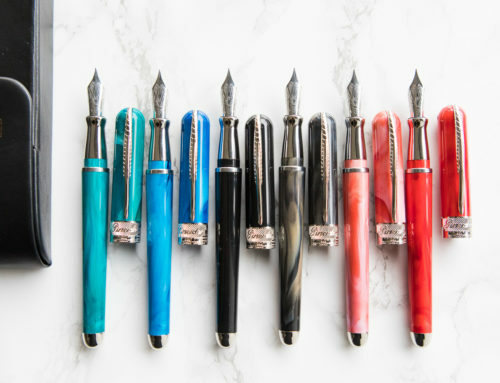 What do you think of these new Pineider fountain pens?